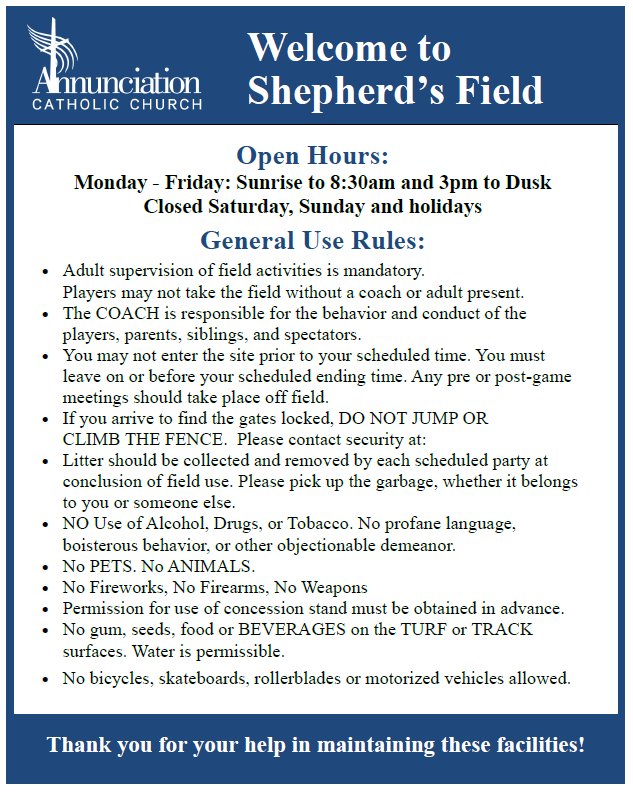 Welcome to Shepherd’s Field. Our campus track and field facilities. The Track is open on Monday-Friday: Sunrise to 8:30am and 3pm to Dusk. It is closed on Saturday, Sunday and holidays.